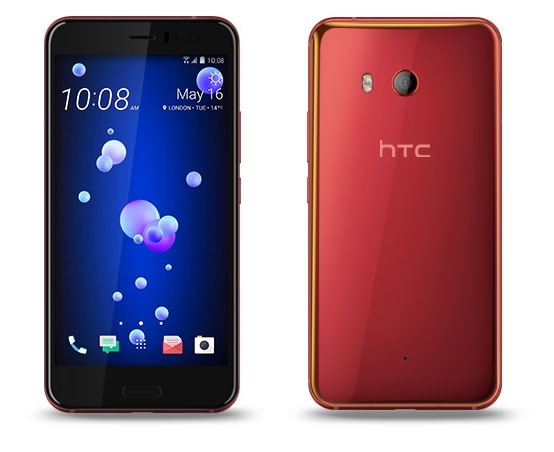 HTC has launched a new Solar Red color variant of its premium smartphone, the HTC U11 in India. Initially, the smartphone was launched in June with a price tag of Rs. 51,990 in Silver and Black colors. In July, the company also introduced Sapphire Blue color model in India. All the four color variants are available via the company’s official e-store at the same price. However, the deliveries for the Solar Red variant of U11 will start after August 26, 2017. 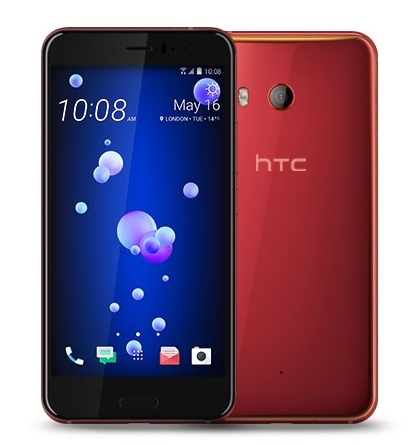 The HTC U11 features a 5.5-inch Quad HD (1440×2560 pixels) Super LCD display protected with Corning Gorilla Glass 5. Under the hood, it houses a 2.45GHz quad-core Qualcomm Snapdragon 835 chipset paired with 6GB of RAM. It runs on HTC Sense based Android 7.1 Nougat, comes with 128GB of internal storage, which is further expandable via microSD card (up to 2TB). On the camera front, HTC U11 sports a 12-megapixel sensor (HTC UltraPixel 3 with 1.4μm pixel) on the rear equipped with dual-LED flash. Other camera features include ultra spread autofocus, BSI sensor, OIS, f/1.7 aperture, dual-LED flash, slow-motion, and 4K video recording. On the front, the smartphone houses a 16MP camera with BSI sensor. It enhances the selfie taking the experience with features like Live Make-up, Auto Selfie (keep still or smile) and Voice Selfie. There is a 3000mAh battery which is officially rated to deliver up to 24.5 hours of talk time and 14 days of standby time. The company is also offering a free Car Charger 20W with every purchase of Solar Red HTC U11. The handset comes with GPS/ A-GPS, GLONASS, USB 3.1 Type-C port, Bluetooth 4.2, Wi-Fi: 802.11 a/b/g/n/ac (2.4GHz & 5GHz), NFC and 4G VoLTE connectivity options.